Our technicians have experience with many different systems. We install new industrial HVAC hardware, maintain existing systems, and offer repair services for your industrial heating and air systems. We offer same day service. We have built our business on referrals. Every member of our reliable and trustworthy team offers superior customer service and support. Our maintenance contracts are very flexible and can be modified to fit your specific needs. 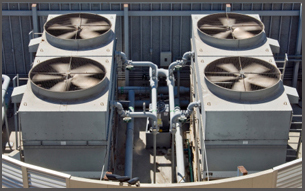 When your industrial, commercial, or retail building experiences down time due to faulty HVAC equipment you know how damaging that can be to your business. Our maintenance contracts will help you avoid almost all of these emergency break downs by assuring your systems are always in good working order. Our Commercial contracts are more than a simple seasonal checkup. If you have more than four compressors or service more than 1000 square feet, we recommend a monthly check of all equipment. Our maintenance agreements are all unique and can be tailored to fit your industry size and age of equipment. Many times we find that commercial or industrial buildings have units from several vendors and they all vary in age. While some units may have been replaced recently others may have been in place for over ten years. The older units may not be in top working order but because the newer units are taking up the slack it's hard to detect. If you feel that your utility bills are higher than they should be, contact us for an assessment of your equipment. It may be a simple repair that is needed. You can trust the highly skilled and qualified team of experts at Metro Air & Refrigeration to be honest straight forward with their recommendations. Do you have a unit that is not working or you suspect is not in proper working condition? Call Metro Service Specialists to request a free estimate. We can diagnose your problem and offer simple repair solutions. We never recommend that a unit be replaced unless repairs are most costly than new installation. A clean system improves efficiency, quality and prolongs the life of your ac system. It starts with a clean filter. 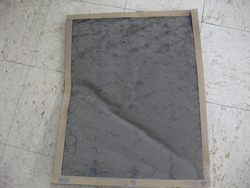 Filters should be changed following the guidelines of the manufacturer for all systems. We offer a filter maintenance service for a low rate including the filters needed for your system. Call for details !